The trifecta of IoT, Cloud and Analytics have been transforming many aspects of our lives and business. Cities, healthcare, transportation, farming, fitness, home, manufacturing and utilities have been the key beneficiaries of this fast-emerging paradigm. 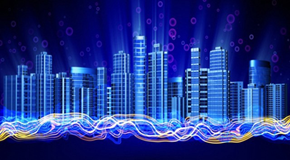 While consumer devices like Fitbit and Amazon Alexa get lot of attention from the media, the commercial buildings have been quietly turning into Software Defined Buildings (SDB). By doing so they are not only lowering the operational cost of the building, but also foster smarter cities, better safety, and occupant comfort. As such they have become an important market segment in the IoT space. Before delving into the details of smart buildings, here is some context into why buildings are getting the attention of IT vendors lately. · According to DOE there are about 4.8 million commercial buildings and 350,000 industrial facilities in the U.S., which together account for about half of the country’s total energy use. · United Nations Environment Program estimated that buildings consume 40% of global energy, 25% of global water, 40% of global resources, and 60% of world’s electricity.